We can provide a variety of special packages and prices for groups of fun divers, multiple PADI programmes and/or diving trips. 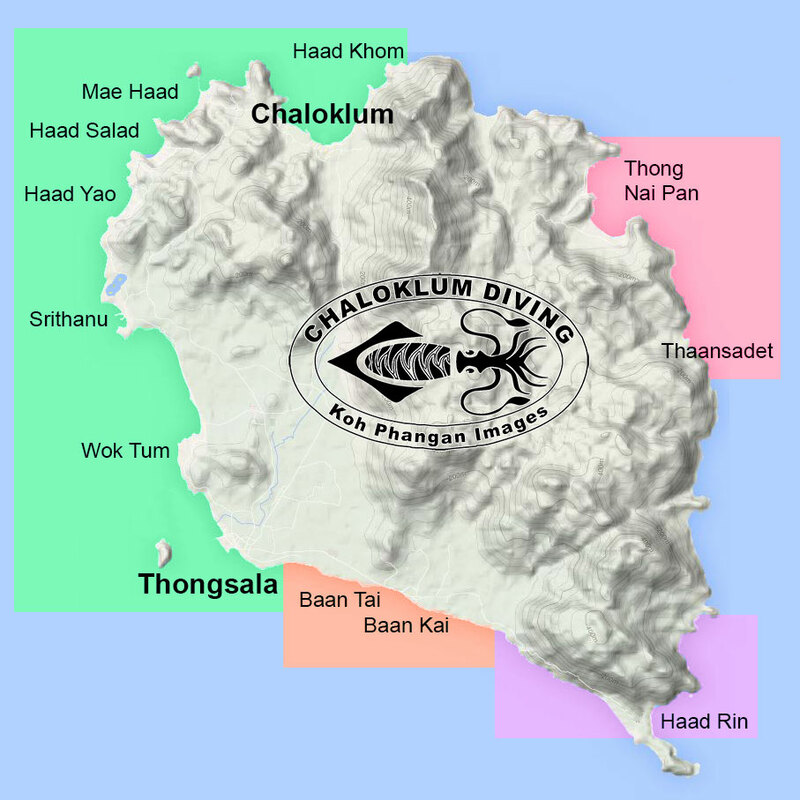 And if you are looking for something unique: some special scuba dives, dive training courses or snorkelling options that are not listed here, please let us know . 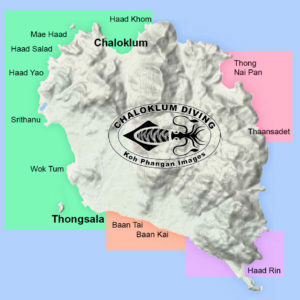 We also offer a wide range of SCUBA and snorkel gear for sale at our headquarters in Chaloklum Village, with selected sales at our office at Mae Haad beach. As well as the expert services of a Chaloklum Diving professional, our big boat dive trip prices also include breakfast (except when diving locally) and a delicious lunch, fruit, water and soft drinks. Please note that if you need a pick-up from us, our prices include transport from the resorts located in the green shaded area on the map. For transport from beyond Thongsala we need a minimum of 2 people, and make the following surcharges: Baan Tai – 200 Baht per person, Haad Rin – 300 Baht per person, Thong Nai Pan and Thaansadet – 800 Baht per person. To make a booking or to contact us – Click Here.